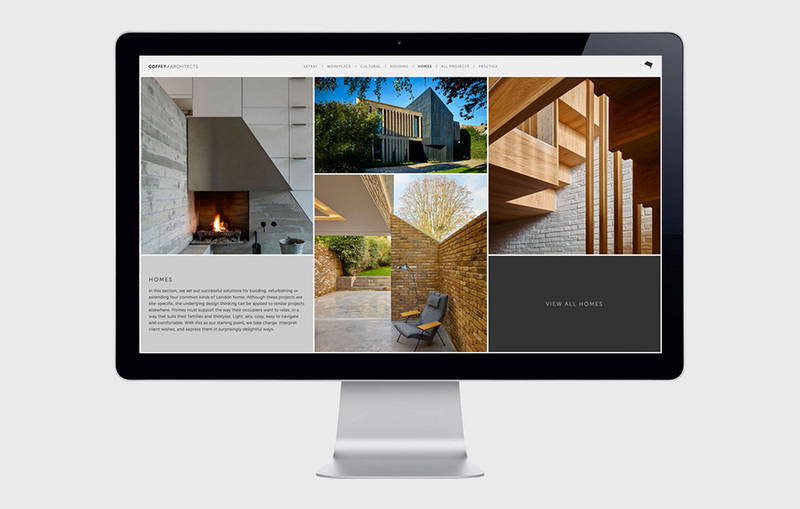 Website for Coffey Architects, the multiple RIBA award-winning architecture studio based in London. Coffey Architects has built a strong reputation for designing beautifully crafted, intelligent buildings that have people, context and light at the heart of their conception. Fruitmachine drew inspiration from Coffey’s unique operational approach and company ethos. 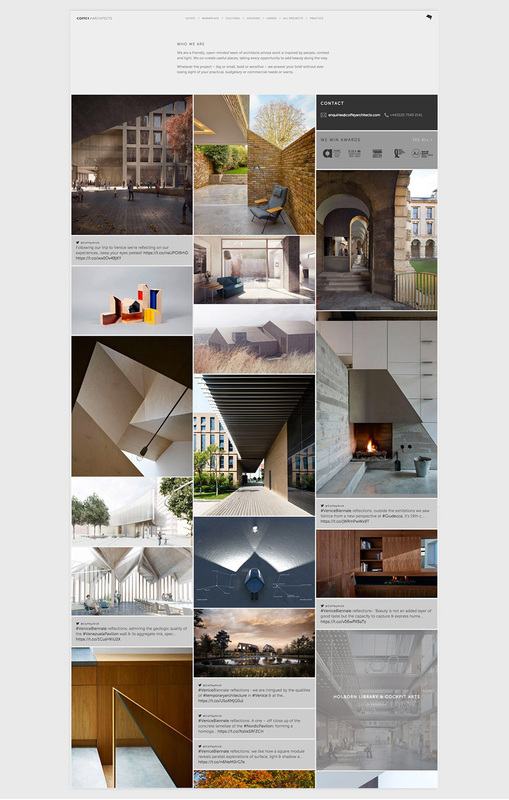 We looked at how we could capture their broad project portfolio, while representing their concepts, studio and team, as all are intrinsic to their practice. Fruitmachine’s design celebrates their dynamic concepts, and champions the defining qualities of Coffey Architects: form, functionality, detail, passion, story-telling, space, light and beauty. 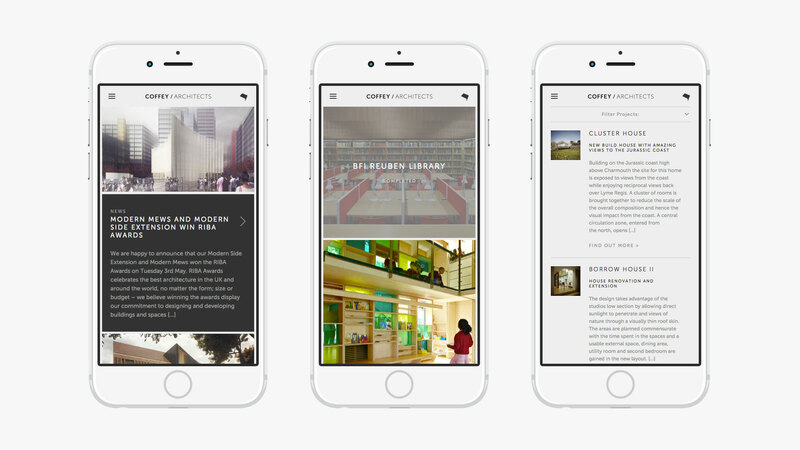 Each area has a different design template to visually separate the projects. 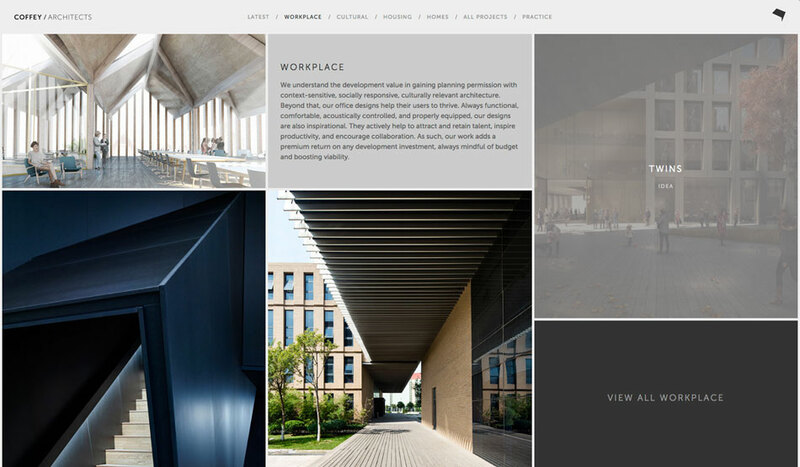 The selected project works sections provide Coffey Architects the tools to not only showcase projects of their choosing but also a means to curate a narrative that gives insight into the thought process and attention to detail that supports each concept. Design and concept, Fully responsive custom WordPress website.